Ceilings gilded with gold, lily ponds and waterfalls, sweeping staircases, four-poster suites, a private Chapel, and that’s just the beginning. Hawkstone Hall & Gardens offers the perfect combination of character, charm, natural beauty and heritage. The 37 bedroom, 18th century, country mansion enjoys far stretching views across the Shropshire countryside and onwards to the Welsh valleys. This rural location, blended with custom-designed, elegant décor throughout, provides the most breath-taking backdrop for your exclusive wedding celebrations. Each of the spaces at Hawkstone Hall offer a completely unique experience for you and your guests to enjoy. From the intricate detailed ceiling of the Ballroom and the huge arched windows of The Saloon. To the grandeur of The Chapel and the abundance of light in the Winter garden, each individual space provides its very own highlight. They provide an unforgettable experience for you and your loved one to marry in a truly stunning setting. 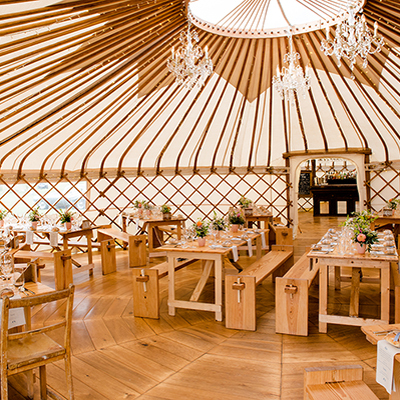 Marquee hire is also available if you wish to accommodate from 200 – 700 guests on their grounds. They are also home to several beautiful lounge and bar areas, which you and your guests may wish to utilise throughout the day. Their 88 acres of magnificent gardens have been lovingly nurtured by their in-house gardening team for a number of years. Perfectly pruned and kept, to the standard you would expect in the grounds of such a prestigious building, their gardens provide a wonderful setting. Save £1,000 off all remaining Saturday to Sunday dates and £500 off all remaining Monday to Friday dates for 2019. Call 01630 658 242 to find out more and book your wedding date today. * Offer not available to previously confirmed bookings or transfers of date. Minimum numbers apply. We were never in any doubt! You were absolutely fantastic from start to finish and could not have gone any better! Every person in your team was excellent! Thank you very much. I never felt that anything was too much trouble for them. Every part of the day was perfect, we didn’t have a worry in the world all day long.